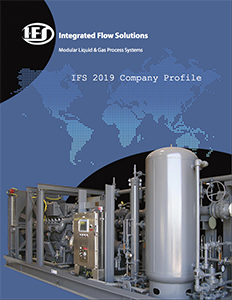 Integrated Flow Solutions (IFS) is a global industrial process engineering company that designs and manufactures skid-mounted engineered-to-order & configure-to-order, liquid-and-gas process solutions for the Oil & Gas, Refinery, Power and Air Quality industries, among others. IFS’s plug-and-play process skids are designed and engineered to work reliably for years in some of the most remote locations and harshest conditions in world. 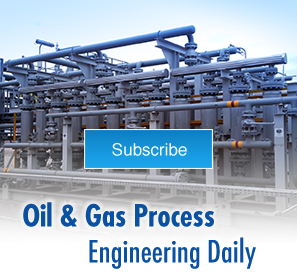 IFS offers on-site installation assistance, training, commissioning, maintenance and aftermarket parts support. Founded in 1979 as an outgrowth of the pump distribution business, IFS began serving the oil and gas market, then expanded into power generation, air quality, and general industrial. In 2014, IFS and Best Pumpworks were acquired by DXP Enterprises. IFS reports its safety record quarterly to the PEC Safety website. IFS completed 2018 with a Total Recordable Incident Rate (TRIR) of 1.